Spread the cost from only £84.69 a month with Interest Free Credit. Contemporary and lightweight, the considered proportions of EOS convey Hilton’s leading designer credentials. 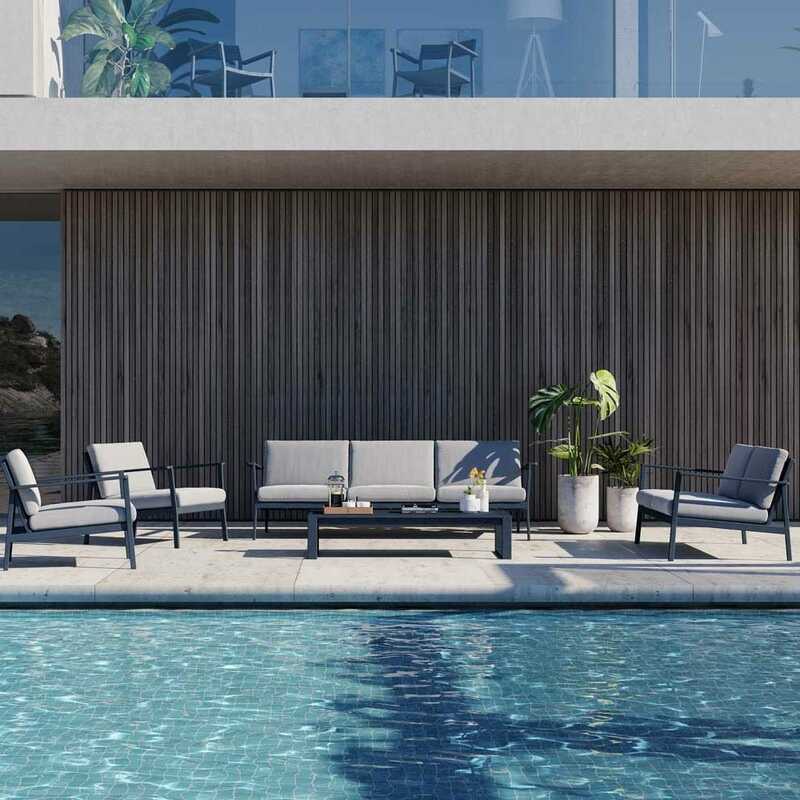 Perfect for relaxed al fresco dining and enjoying hazy summer evenings, EOS is crafted from weather and rust-resistant powder-coated aluminium with textiline seat pads and grey cushions. From city spaces to country escapes, the EOS range in black will transform any outdoor space into a sanctuary.